Plan ahead for a10% Discountfor advanced bookings! A world of fun awaits guests of Pueblo Bonito Sunset Beach Golf & Spa Resort in Cabo San Lucas. Perfect for families, our full-service retreat offers unlimited access to a private beach, stunning swimming pools and life-enriching activities, including Spanish language lessons, cooking classes, aqua aerobics, dance lessons and bingo. The Sunset Beach Kids Club welcomes our youngest guests for full days of fun, including arts and crafts, board games, pool games, movies and more. Organized tours are an excellent way to explore Los Cabos. 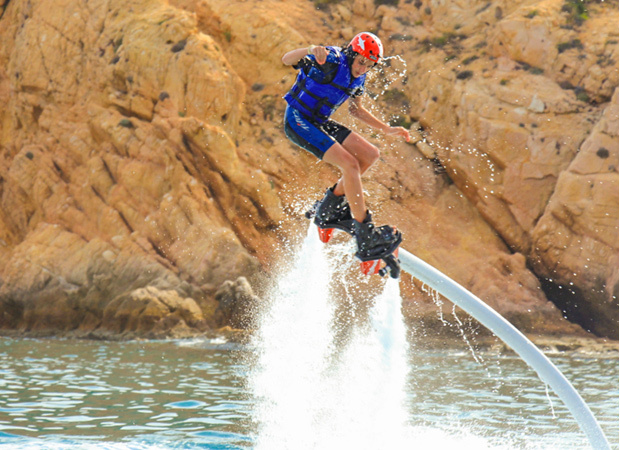 From Cabo San Lucas whale watching tours to ATV tours, to snorkeling and diving tours and customized Cabo adventures, the knowledgeable Activities Desk staff at Pueblo Bonito Sunset Beach Golf & Spa Resort can help you choose the best Cabo tours for your interests and budget. Whether you book a Swim with Dolphins experience or a Dolphin Encounter or Trainer for a Day, nothing beats the thrill of swimming with dolphins in Cabo San Lucas. The Cabo Dolphins Swim with Dolphins program, featuring a docile team of Pacific Bottlenose dolphins, is among the most popular attractions in Cabo San Lucas. 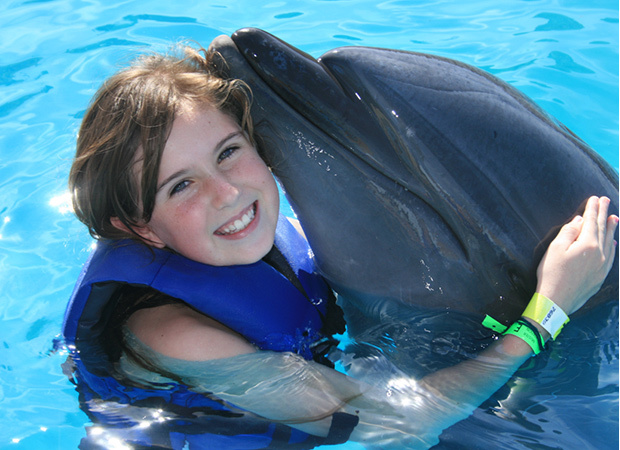 The Dolphin Encounter programs is a fun introduction to dolphins for people of all swim abilities. For the ultimate experience, book a Dolphin Trainer for a Day program, a behind-the-scenes look at dolphin care and training. Cabo San Lucas beaches stretch from the Sea of Cortés to the Pacific Ocean and are world famous for their beauty. Discover tranquil and secluded coves, expansive stretches of sandy beaches, and beaches known for snorkeling and swimming. Lover's Beach, Santa Maria Beach, and Chileno Beach are three popular Cabo San Lucas area beaches. Take our complimentary shuttle to the Pueblo Bonito Rose and enjoy a day at El Médano Beach, Cabo’s most popular beach. The new Quivira Golf Course is the most recent design by legendary golfer and course architect Jack Nicklaus. Located next to Pueblo Bonito Pacifica Golf & Spa Resort, this magnificent course offers more oceanfront play than any other golf course in Cabo San Lucas. Book your stay now to be among the first to play on this beautiful and challenging course, open exclusively to Pueblo Bonito owners and guests. Try your luck at reeling in the catch of the day on a sport fishing vacation to Cabo San Lucas. Recognized around the world as a premier sport-fishing destination, Cabo San Lucas is home to many deep sea-fishing charters offering half- and full-day fishing trips. Marlin, swordfish, dorado, and snapper are just a few of the trophies you're likely to catch in the waters of Cabo San Lucas. 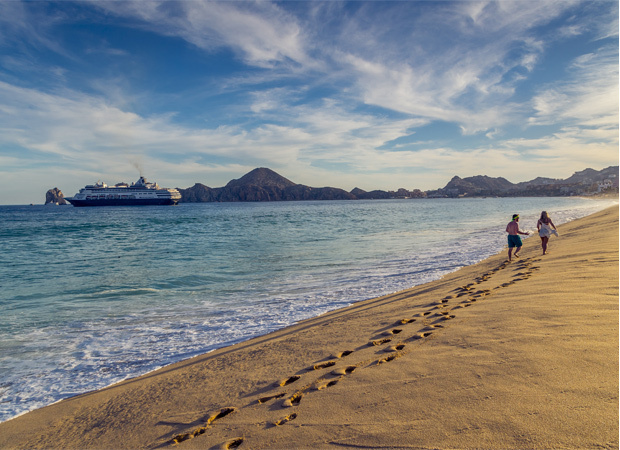 Experience a side of Cabo San Lucas beyond your wildest dreams. Canyon canopy tours are an exhilarating way to delve into Mother Nature at the UNESCO-protected Boca de Sierra National Park. Zip lines, climbing walls, rappel lines and more promise to make the Cabo Adventures canyon canopy tour one of the most talked about things do in Cabo San Lucas. Approximately an hour from Cabo San Lucas is the budding artist town of Todos Santos. A quiet haven by Los Cabos standards, Todos Santos is gaining popularity as a tourist destination for people vacationing in Cabo San Lucas. Todos Santos is home to quaint art galleries, open-air restaurants, boutiques, and cultural attractions. Snorkeling and scuba diving top the charts of favorite things to do on vacation in Cabo San Lucas. 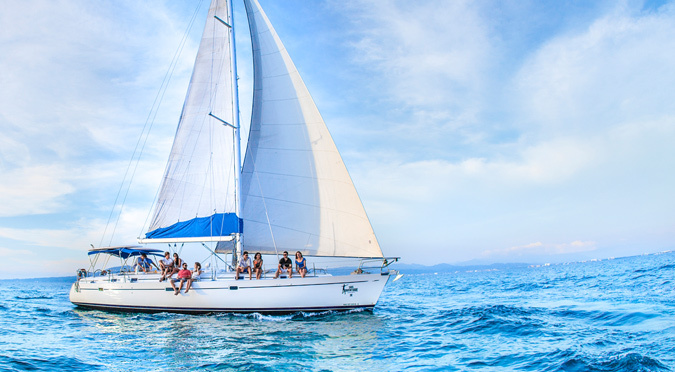 Miles of coastline offer myriad opportunities for exploring life under the Sea of Cortez. Numerous Cabo San Lucas snorkeling and scuba diving tour companies offer half- and full-day programs, including PADI scuba diving certification programs and lessons for beginners. Take in the spectacular scenery of Cabo San Lucas and San Jose del Cabo from atop the back of a horse. Horseback riding on the beaches of Cabo San Lucas is a fun activity for the whole family. Professional guides ensure that riders and matched perfectly with the appropriate horse for their age, riding ability, and comfort level. Horseback riding tours offered throughout Cabo San Lucas include romantic sunset rides, family rides, and interpretive rides that include interesting narratives on native flora and fauna. Venture into the rugged beauty of the Sierra Mountains aboard an exciting Desert Safari tour. Operated by Cabo Adventures, Desert Safari tours are half-day adventures through the heart of Baja's dramatic desert canyons and lowlands, and tiny villages. Travel aboard all-terrain Mercedes Benz Unimog vehicles to a designated spot where guides will lead the group on an interpretive nature walk. Life heats up in Cabo San Lucas when the sun goes down. Known for its exciting nightlife scene, downtown Cabo San Lucas is home to dozens of cantinas and nightclubs.